I am thankful for the size that I do not put in the neighborhood home center. This review is about item#35509013. I could not find the 25mm type of government fuse, it was saved by treating it with Monotaro. This review is about item#35508995. Quality is also good and it is saved for cost. It is unexpectedly very thankful that there are shops with 25 mm tube fuses. This review is about item#35509004. Evaluation comment can not be done yet because it is before use, but 25mm glass tube fuse was quite absent at the shop front. It was saved. The short type of 250 mm is saved because it is not placed in ordinary mass merchandisers. This review is about item#35509022. Because the old turnip is 25 mm · 7 A designation. When I looked at the picture, I was not familiar with medium-sized slender board wire fuse for home appliances, so it was uneasy, but since it is "auto fuse" purchased on trial. After all, it is 125 v 7 A with a line fuse, and the hand held tester does not know the difference from the 12 v product. I have tried it for the current car for two weeks but there is no problem at present. If possible, please explain whether this line fuse is different from the conventional 12v version · What is the exchange problem? 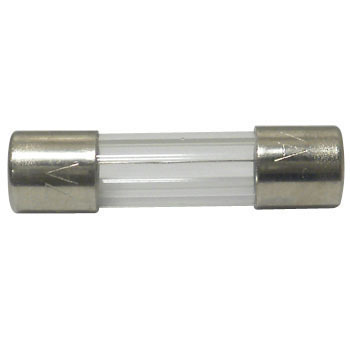 It is an ordinary tube fuse. Since this model size is getting out of line at the shop front, it is very much appreciated that it is always on sale at all times.